Recent changes to the systems leaves me wondering about the service levels being adopted by the hotel The restaurant has not changed the menu for some considerable time The bill can no longer be added to the room The people are still as friendly - the organization is taking a backward step. Credit card, company address and online check in authorization did not arrive at the new IT system, just the notification. Staff and hotel are really ok. Stayed 3 nights on a business trip. Excellently located and many restaurants are nearby. Easily access able to shopping place. Breakfast is satisfactory and hardly any option for vegetarians. There is no coffee facility in room. I stayed in this hotel for my business trip. Had a comfortable stay. There are nice restaurants nearby and this hotel is very near to tram station ( Metro). Myself and a friend recently stayed in the Ibis Styles Hotel in Stuttgart as part of a driving tour around Europe. We wanted to visit the Porsche and Mercedes museums. The hotel was conveniently located between both locations. The room was clean, spacious and with a good bathroom. We ate twice at the hotel restaurant in the evenings and the food was very good. Breakfast was excellent with a great choice of hot and cold food. If I return to Stuttgart I will definitely stay at the hotel again. I recommend it. Flawless stay at Ibis Styles, the family room was incredibly spacious, well thought out design. Air con was very welcome. Bathroom was well appointed too. Location was excellent being close to a tram stop, and the little bakery opposite was useful. Mineral Baths right on the doorstep. Great nights sleep, good food in Mike's Urban Pub, along with an excellent range of breakfast items. Only downside was water, teas and coffees were in reception and not in the room which was unusual and difficult logisitically if you're an adult staying with young children who cannot be left alone whilst you get a hot drink. Overall, highly recommended. Stayed in Stuttgart for one night and our experience was great. The large family rooms were perfect and the staff in the hotel were very friendly, both at reception and in the bar. The food was also excellent. Great room, great bathroom, good dark curtains, really nice breakfast. No complains at all! good service at the frontdesk. Everything looked new and fresh. I would go there for sure another time. See you again! We’ve had a wonderful stay at this hotel. 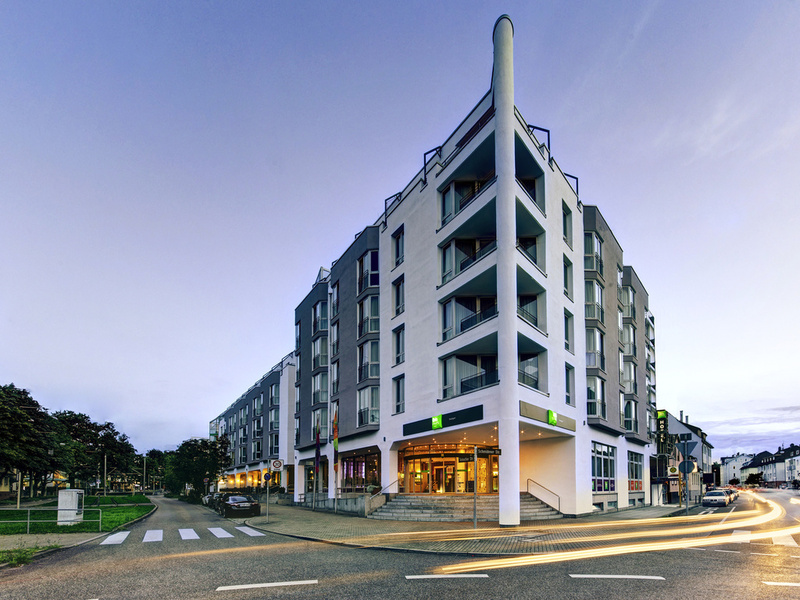 It has a very convenient location right in front of the tram station. There is a Mineral Bath very close to the hotel and I wish we knew it earlier... The hotel’s Bar-Restaurant, called “Mike’s Pub”, is awesome. The food is really good and the service is wonderful. A lot of thanks to our friend Mo, who was very kind, helpful and made us feel at home. It was the first time we stayed at an Ibis Styles hotel and we were very satisfied, in fact we were surprised. It is very clean, cozy, pleasant and family friendly. The room was beyond our expectations! We loved it.!!! We became fans! From now on, this is OUR hotel in Stuttgart!! Thank you all!!! Greetings to Mo! The staff is very nice. You can easily park your car under the hotel. Good food and breakfast. The room was more than perfect. Good space to work and the bathroom was clean. My bed was perfect. I will come back. We loved the family room! It was very spacious, comfortable, and clean. The breakfast was good and the restaurant on site had a good selection. The U Bahn is just next to hotel so it was easy to get to the city center. There’s a couple of restaurants nearby as well as a park. A nice bakery around the corner near the UBahn. Really good location next to the U2. Mineral baths opposite and the hotel is happy to offer towels for this.The room was spacious and clean. Breakfast choice is excellent in that it offers something for everyone and is regularly refreshed . We ate a couple of times in Mike's Urban Pub and the food was surprisingly good. The staff were very orientated to customer care despite the language difference and we will definitely stay again. It was just a very short stay, nonetheless everything was in order. Online check in saved time, front desk staff was very friendly and welcoming. Buffet breakfast was lovely, choices of food was great, coffee was fresh and delicious. We booked a family room for one night on our way to Austria and got a great, spacious & modern room. The booking & checking was fast and professional. We will certainly come back to the hotel as a stop-over. The hotel was a very good surprise. In the past I stayed in the IBIS "red" and this time I stay in the Ibis style. The hotel is 15' with metro from the center of Stuttgard and it is clean and nice. There is a lot of space in the room and they are clean and nice and also the bathroom have a lot of space. We have the breakfast included and it is very good with a good choice of food. People is very nice and friendly. If I come back in Stuttgard for sure I'll stay in this hotel.